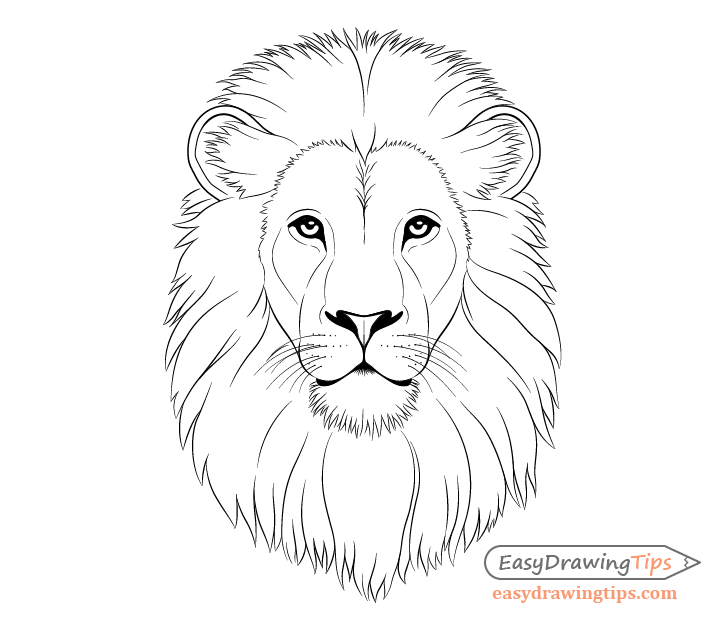 This step by step tutorial shows how to draw a lion’s face and head going from a basic shape sketch to a finished line drawing. 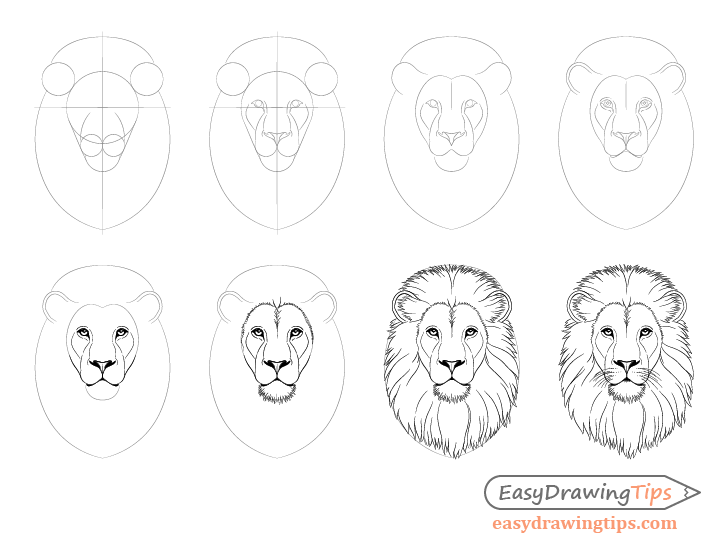 As a lion’s face is fairly complex this is a very detailed tutorial with many steps. If you are going to be following along using pencil and paper please be sure to make light lines for the initial steps of the drawing so that you can easily erase them later. Start the drawing of the lion’s face by first breaking it down into more basic shapes. 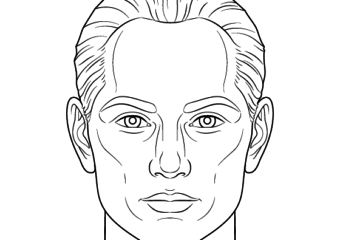 Draw the basic shapes of the major facial features and erase some of the construction lines from the previous step so that your drawing does not get cluttered. Add cheek bone shapes on the sides going from the area around the outer corners of the eyes and eventually curving inwards towards the nose. Next add more details of the snout area starting from some small curves around the nose to the larger curves that first go inwards and then outwards around the eyes. 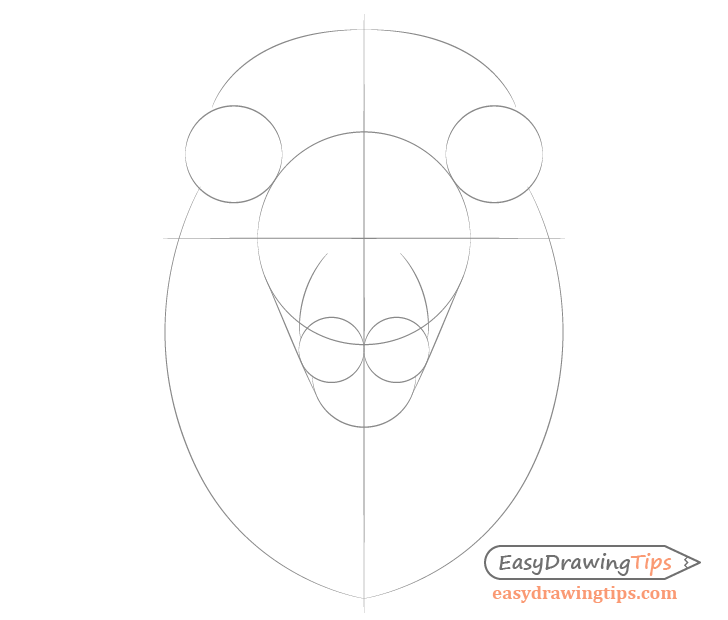 Draw he eyes directly above the horizontal line (with the inner corner going below the line) from step one with the shape as in the above example. Draw the shape of the nose as the example above. 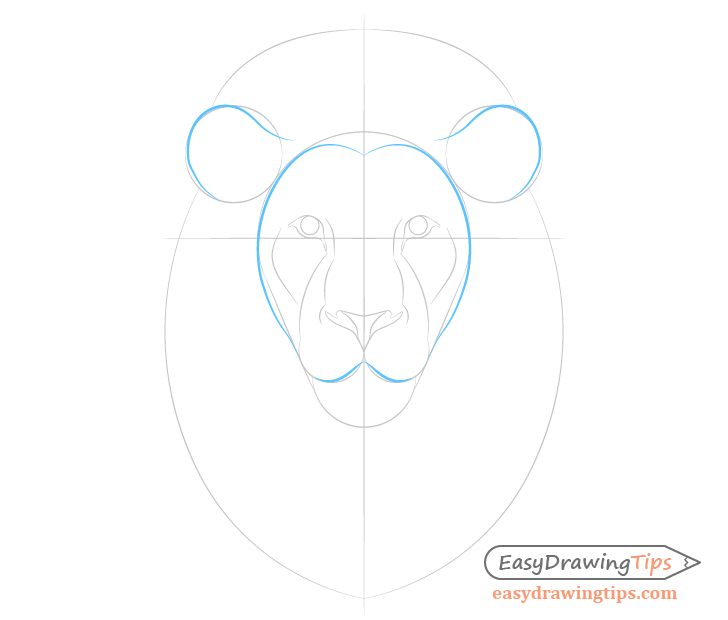 Now refine the outer construction lines of the face from step one to a more precise shape of the lion’s head. Now work on the smaller details of the lion’s face. 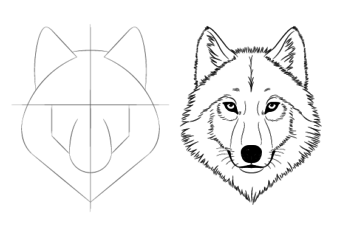 Add the inner curves of the ears pretty much following the outer curves. Draw the bottom part of the mouth with the outer corners sort of “hanging down”. Add the pupil, reflection area and indicate the upper shaded area inside the eye. 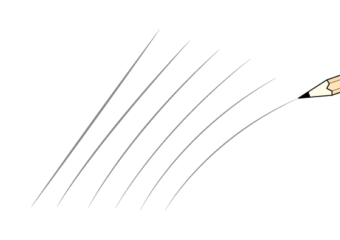 Also draw the curves of the upper and lower eyelids as in the above example. Add a tiny “split” towards the bottom of the nose as in the above example. 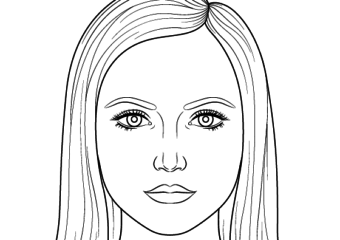 Fill in/shade the areas of the eyes nose and mouth as in the above example. 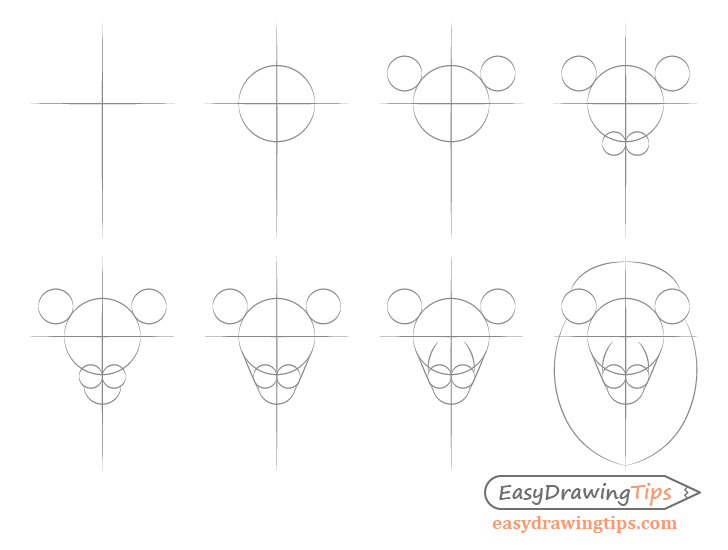 You can also start going over some of your light sketch lines with a more solid stroke to finalize the drawing. 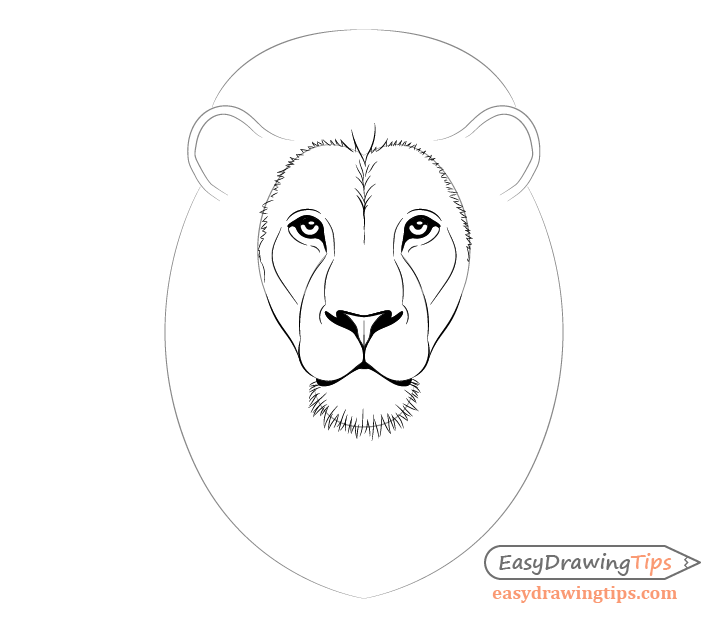 Draw the inner part of the mane fur as well the fur on the chin. You can pretty much indicate each little fur clump with just one or two lines. Try and make each clump of slightly different shape, size and length to make the fur look natural. 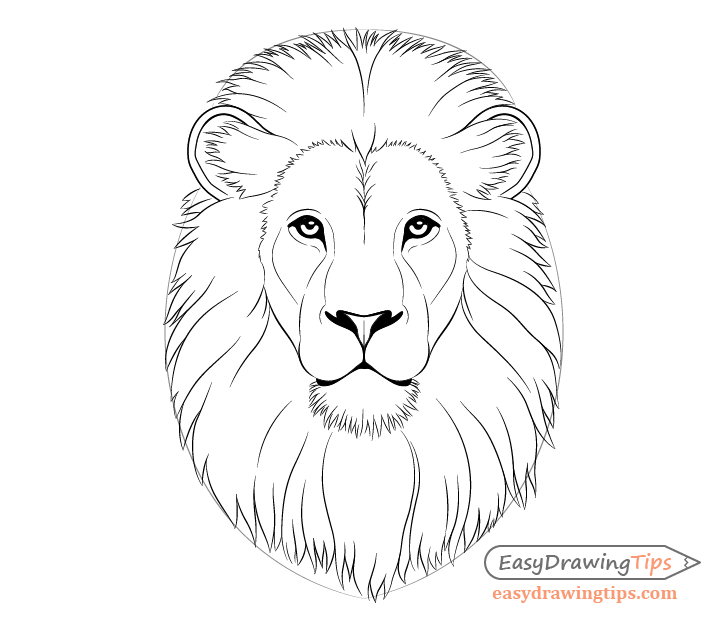 Draw the rest of the lion’s mane. Generally the fur clumps will be smaller around the top area and larger around the bottom where the fur is longer. Finally add some whiskers to finish the drawing. Lions generally have a set of tiny black dots around the upper area of their mouth that the whiskers grow out of. Draw a few rows of these before drawing the whiskers. Draw the whiskers thicker towards the base and thinner towards their outer tips. Also be sure to draw them of various length and curving in slightly different directions to make your drawing look more natural. 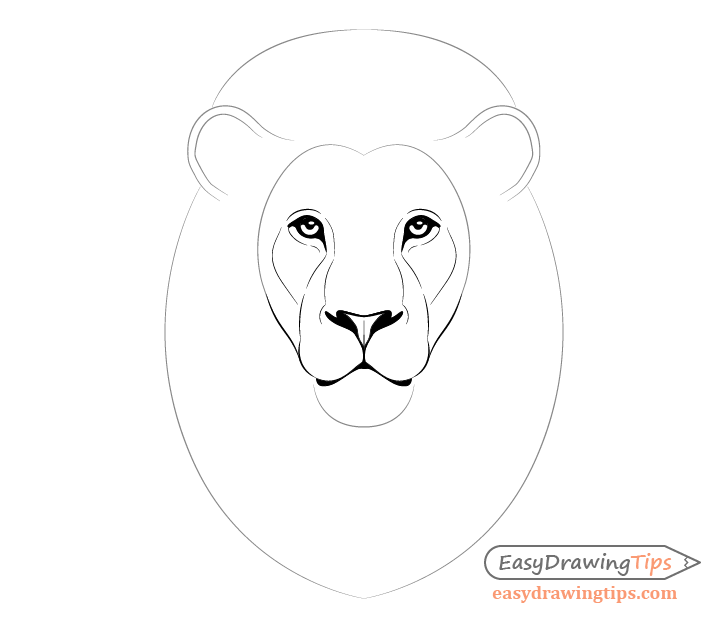 When the whiskers are done you should have a finished line drawing of the lion’s head. 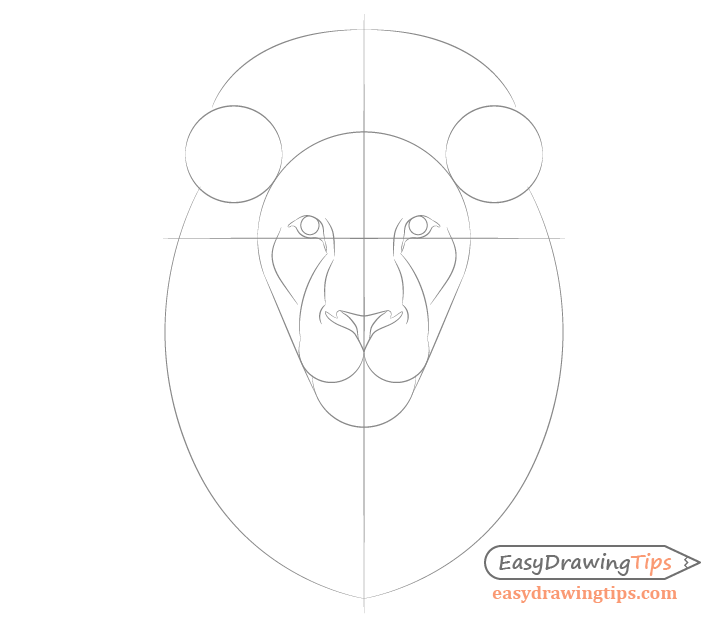 A lion’s face and head can be very complex to draw but you can make it easier by first breaking it down into more basic shapes and then refining your drawing step by step down to the smaller details.